1. Remove the towing hook from the tool case. 2. Remove the hole cover pressing the lower part of the cover on the front bumper. 3. 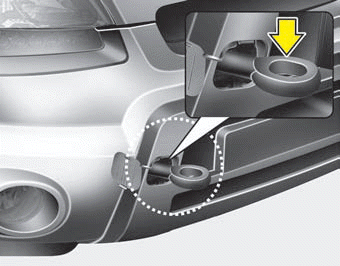 Install the towing hook by turning it clockwise into the hole until it is fully secured. 4. 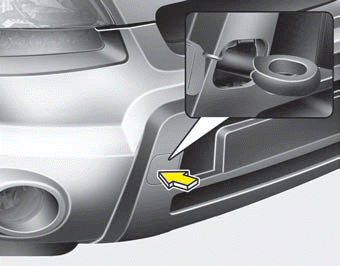 Remove the towing hook and install the cover after use.